As an SSS member, do you have any idea how much you will get after many years of religiously paying your contributions? 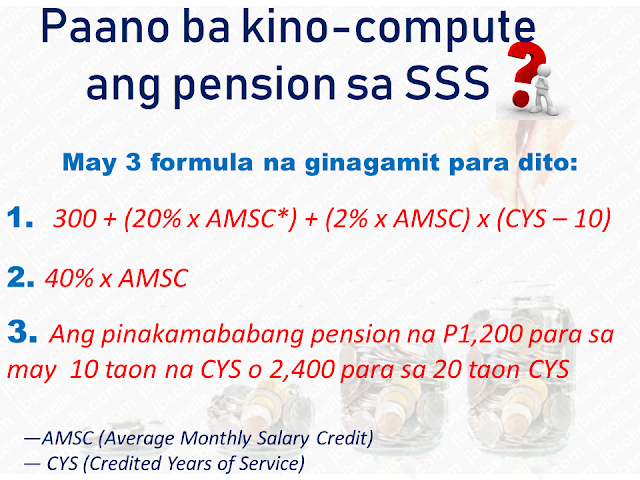 We will give an idea on how SSS monthly pension is computed. 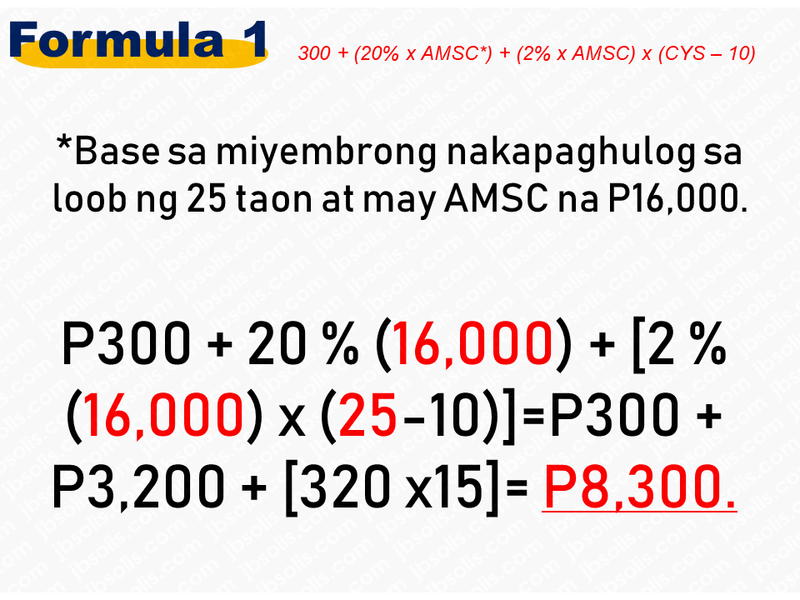 The monthly pension computation is based on these formulas and whichever the higher value may be, that will be the amount of your monthly pension. Using three computations above, assuming the case of someone who contributed for 25 years based on the AMSC of P16,000. Using the first formula, we have P300 + 20 percent (16,000) + [2 percent (16,000) x (25-10)]=P300 + P3,200 + [320 x15]=P8,300. The basic pension amount in this case is P8,300. 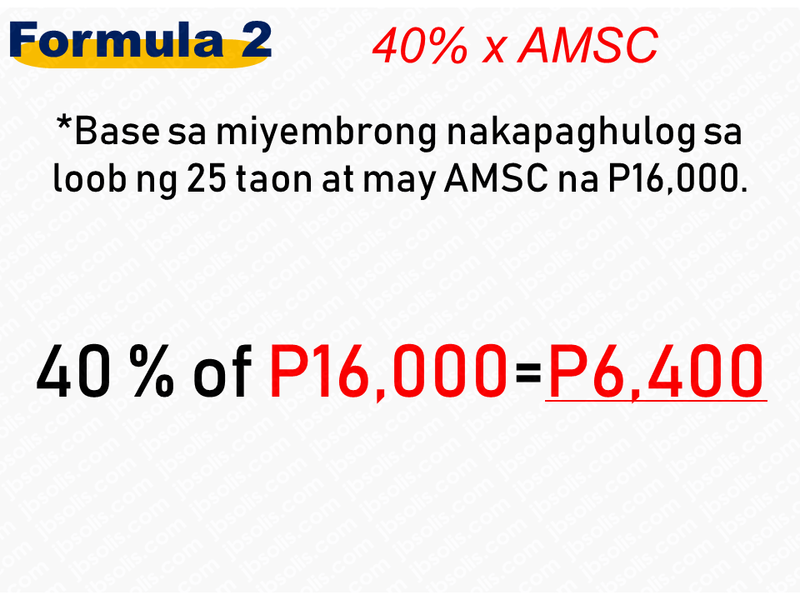 The second formula, which is 40 percent of the AMSC, will be 40 percent of P16,000=P6,400. 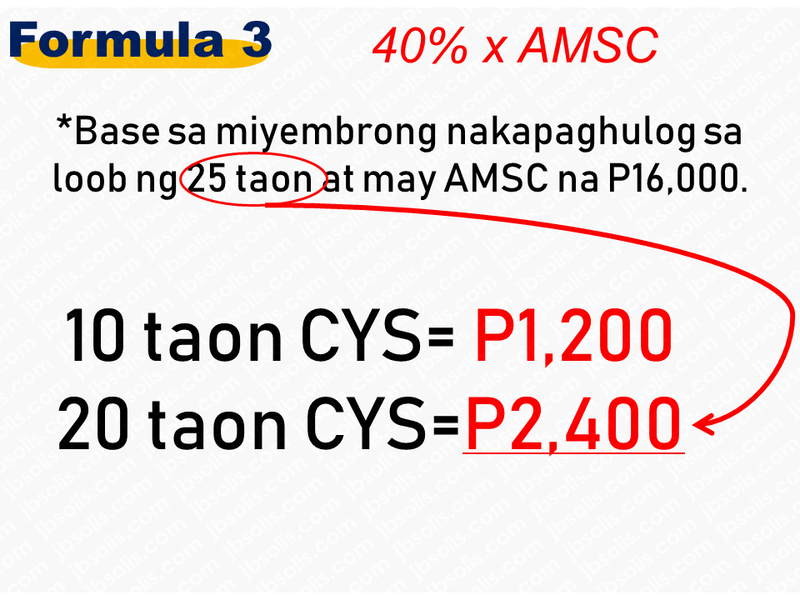 Applying the third formula would yield P2,400 as the basic pension. 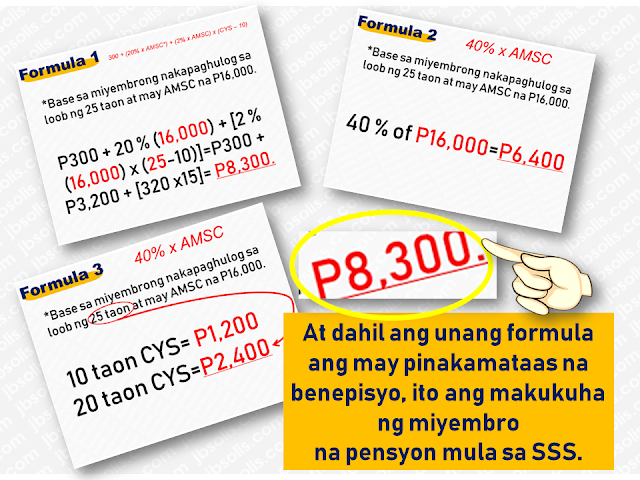 Since the law provides that the highest amount shall be granted as the pension, this means that the basic pension shall be P8,300. For example, the cases of Juan and Pedro. Juan has a monthly salary credit of P1,000 (the lowest salary level subject to the SSS contribution) and contributes to SSS based on this salary for 25 years, while Pedro has a monthly salary credit of P16,000 (the maximum salary as of to-date) and also contributes for 25 years. 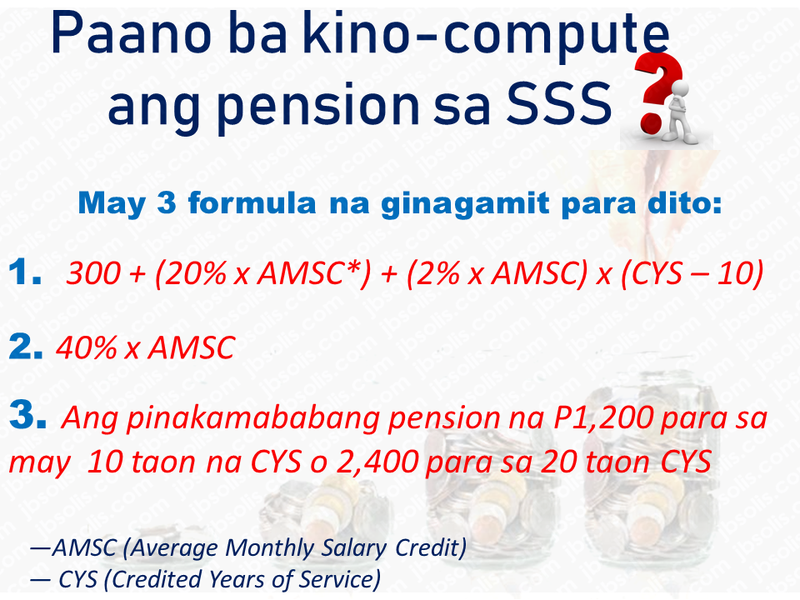 Juan’s monthly contribution of P110 would total P33,000 after 25 years of contribution to the SSS, while Pedro, whose monthly contribution of P1,7650, would sum up to P528,000 after 25 years. 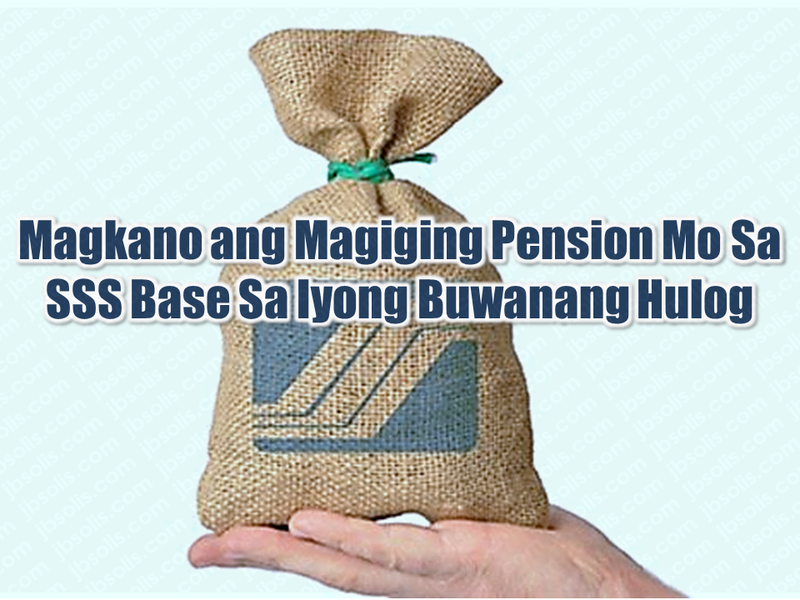 If they both file for retirement pension at the same time and receive pensions for 25 years, Juan, whose pension will amount to P2,400 per month, would have received a total of P780,000, while Pedro, whose monthly pension is P8,300, would have received P2,699,500 after 25 years. If they both pass away, their pensions will cross over to their spouses as their primary beneficiaries. Now that you have an idea of how much you will be received in case you will retire, it is in your hands how much would you like to contribute to your retirement. The bigger your contribution, the bigger pension you will get once you retired.